FAQs - Dining - DVCNews.com - The essential Disney Vacation Club resource! Do DVC members receive any preferential treatment when securing dining reservations? DVC representatives have access to the same dining reservation database as the WDW-DINE reps, so there is no advantage in that sense. However, using the toll-free DVC telephone number is a nice benefit to members. Member Services may also be prone to shorter call wait times, and the telephone reps often appear to be a bit more experienced than those at the dining call center. One noteworthy drawback to booking ADRs through DVC is the fact that DVC does not open until 9am on weekdays, and has limited weekend hours. Those planning to book difficult-to-obtain meals and experiences like Cinderella’s Royal Table or Illuminations cruises are advised to use the 407-WDW-DINE line as early as possible on the first day they are eligible to make a reservation. What if you don't want to dine out? Can you get groceries at DVC resorts? There are a number of alternatives available to DVC members looking to stock their refrigerators for the week. Those arranging their own transportation may find it most convenient to stop at a local grocery or superstore. Target and WalMart both have locations just off of US-535, just a couple miles from Downtown Disney. Grocery chain Publix has a location off of Vineland near the Orlando Premium Outlets. Another option available to members is to purchase groceries from the resort itself. 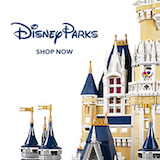 DVCMember.com has grocery price lists for each of the DVC resorts. Most (if not all) items can be purchased as needed from the general store at the DVC resort. Members can also fax their order to the resort in advance of arrival and the items will be delivered right to the guest room. Many of the prices are considerably higher than the typical grocery store, but the convenience is hard to beat. The resort charges a respectable $5 delivery charge for advance orders. Finally, there are at least two third-party delivery vendors operating in the Orlando area. These services will purchase items from the customer’s detailed shopping list and deliver the items to the guest’s room at a pre-arranged time and date. Again there are service fees involved, but item prices will be more reasonable than using the resort’s shopping service and the selection more diverse. Vendors offering this service in the Orlando area include Garden Grocer and We Go Shop. When exactly can I make my dining reservations? Check out www.pscalculator.net. By entering your trip dates you can get an instant report showing when you can begin making reservations for an upcoming trip. Be sure to enter the starting date of your vacation. Disney now allows guests to begin booking most restaurants 180 days prior to the start of their trip. To make reservations dial DVC Member Services or 407-WDW-DINE.